Her Excellency Mrs. Asma Al-Assad, the First Lady of Syria, observed Mother's Day hosting a group of Martyrs' Mothers from the liberated City of Aleppo. According to the Presidency Facebook page, a video entitled '' Mother of All" presented Mrs. Al-Assad emotional meeting with some of the Martyr's Mothers. ''You have been the title for life, firmness, and persistence which crowned the steadfastness of Aleppo inhabitants throughout all years,'' the First Lady, Mrs. Asma Al-Assad addressed the blessed gathering. "Syria is our life and every span of its soil is more precious than soul and Aleppo is our lungs to breathe; hence the magic of Aleppo is known for all who love and appreciate it and not only for those who were born and lived in it." Mrs. Al-Assad highly lauded the people of Aleppo who since day one following the liberation of their city returned to their houses and started to rebuild the factories, robbed and ransacked by the neighbors' son, the burglar of Aleppo!
" 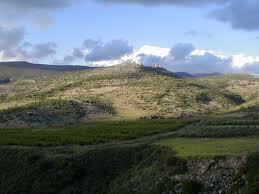 Aleppo is very dear to its inhabitants who do not like to leave it but in cases of utmost needs. You are welcome and thanks for your coming," said Mrs. Al-Assad. "History in Syria is written by the right, blood is the ink of the right, the blood of all Syrians. 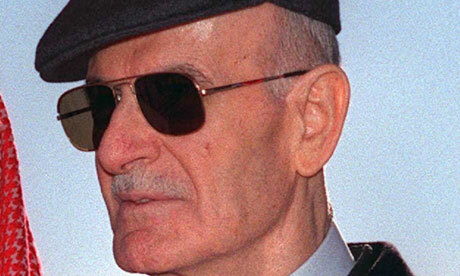 The blood is precious and only writes for the right and with right," added Mrs. Al-Assad.
" Every Mother insisted to remain home though of terrorism shells, canons and was steadfast in commitment to the soil of Aleppo. Every woman was an arm for soldiers: every woman who carried water and food on her back for the soldiers and children to drink and eat, every woman remained steadfast and sent her sons to school, university notwithstanding fear and risks; Thus, every woman was a bullet in every soldiers' gun. And every woman who withstood terrorism and remained in the territories once controlled by terrorists has been the minaret for every soldier to enter and save her." Outlined the First Lady. "You, the mothers of Aleppo, have strengthened Aleppo as the compass for victory; you decided to achieve victory and were victorious through your sons, homes, patience, support to your Army; Consequently Aleppo was victorious with and through you," underscored Mrs. Asma Al-Assad. "When the Army started liberating Aleppo, you were the target and the compass, the support and steadfastness; the strength which empowered it, the duty hence you fulfilled your duty and more," said Mrs. Al-Assad. "Our destiny is to stand firm hence we have been groomed up with the smell of our territories' smell and as to defend our country with blood and soul; groomed up as all neighbors and family members, as not to attack any; but once others attack us, we defend and resist and fight." said Mrs. Al-Assad. "History would register how day by day the light is rising through the power of Martyrs' families, from the pain of our wounded's wound, from the steadfastness of a mother who has a missing member and from the yearning of the mother of the kidnapped person, who returned after a long absence." Concluded Mrs. Asma Al-Assad. Mrs. Al-Assad's Speech Is INDEED Golden! "I don't think it's a secret to anyone that the sanctions on Syria today have affected Syrian people in very much the same ways the sanctions in the 90s affected socially, seriously and mortally the Iraqi people. The only difference is that today, nobody can claim, and especially those that enforce the sanctions, they cannot claim they did not foresee the consequences on ordinary Syrian people. You have to ask yourself, where is the benefit of sanctioning basic food commodities? Where is the benefit of blocking vital access to medicines and health care equipment? Only a few days ago, I met with an old man who had just been diagnosed with cancer and he was worried that he was not able to get the treatment that he needed because the chemotherapy was no longer available. That's what these sanctions are doing to ordinary people. And this is only one example. In fact, just a few weeks ago, I think it was actually last week, the UN released a report that cited the significant increase in poverty and the immeasurable suffering to ordinary Syrians as a result of these sanctions. 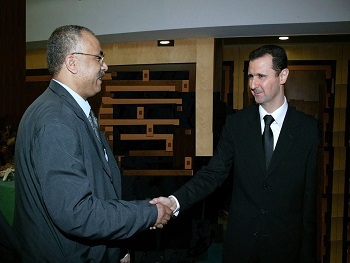 What's most ironic is that they were imposed by the so-called 'Friends of Syria'. What this report doesn't tell us is that the situation would have been much, much harder had it not been for Syria's true friends who have stepped in and help offset some of the political and economic consequences of these sanctions. And in this regard, Russia has been tremendous. It has and continues to provide invaluable humanitarian and economic assistance to Syria. And it's these noble efforts that have helped loosen the chokehold on ordinary Syrians. It is something we'll never forget." 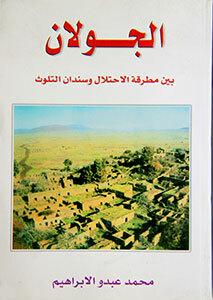 ''Syria is comprised of land that has been continuously inhabited for a very long time. Over thousands of years, this soil has been exposed to dozens of wars and invasions. Some areas were completely destroyed. I know that Syria WILL rebuild itself. As Syrians, we've always prevailed and this period in our history is no different. It is known or often said that Syria means 'rising sun'. 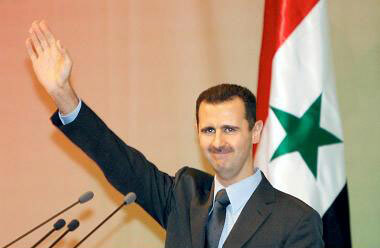 And Syrians will rise again, that I can assure you." The western world is dividing Syrian children according to the political views of their parents, Asma Assad, the Syrian First Lady, said in a rare interview. She said the mainstream media only concentrated on those stories which matched their policy. According to RT, the wife of President Bashar Assad gave an exclusive interview, her first in eight years, to Russia’s Rossiya 24 channel. The full version of the interview is to be shown on Saturday. "Why was the fate of the children in Zara [village] not given the same media coverage as the tragedies of Aylan and Omran?” Asma Assad asked. “The western media decided to focus on these tragedies because it suited their media agenda. It is actually the West dividing our children in this conflict according to the political beliefs of their parents. Aylan was a Syrian child irrespective of what his parents believed as was Omran and the other innocent children in the Zara village massacre,” Asma Assad told Rossiya 24. “These are all children, they are all innocent children and they are all a loss to Syria irrespective of which side of the conflict we support. And as a Syrian, I am personally saddened by the loss of every single child, whether it is Aylan or Omran or the many, many others, whose names did not reach western headlines,” she added. “Ultimately, humanitarian aid should not be determined by geography, political orientation or religious beliefs. It cannot be allowed to be driven by political agendas,” the Syrian First Lady said. Seeing the exceptionally lovely Syrian First Lady Asma al-Assad on Russia 24 today was like departing a hustling, bustling, disgusting and corrupted city with smog-ridden skylines for the greenery, pristine streams, picturesque mountains, Divine-sculpted valleys and incomparably sublime clear air of the Damascus and Latakia countrysides. It was THAT refreshing. And she was THAT amazing. Over the course of the 33-minute interview, Asma took Western ZOGs–those fraudulent “Friends of Syria”–totally to task for their criminal sanctions against Syria; declared her humbleness before the families, wounded and martyrs of the Syrian Arab Army; tipped her hat to Syria’s TRUE friends, especially Russia; blasted the Zionist media’s selective humanity vis-à-vis Takfiri terrorist attacks on government-held areas; and most impressively of all, exhibited a fearlessness that not even most people in our region, including Syrians themselves perhaps, let alone the people of the globe, were aware that she possessed–a testament to her realness and humility. Today, we truly saw the Lioness of Damascus roar! Indeed, Asma al-Assad established that she isn’t just the elegant and eloquent pretty face behind the Syrian president; that she is not the “window dressing on the dictator” as the putrid, Orientalist, neocon-infested mainstream press has portrayed her for years in a total 180-degree turn of its depiction of her as a “Rose In The Desert” in Vanity Fair prior to the start of the destabilization of her country–something Asma herself quipped about in the feature. Simply put, the Syrian First Lady solidified that she is every bit as much the leader of Syria that her husband President Dr. Bashar al-Assad is and as much of a revolutionary too. Which brings us to the concluding point. While there have always been Mouqawamist female personalities in the Arab-Islamic world–legendary, giant heroines like Algeria’s Djamila Bouhired, Lebanon’s Sana’a “Bride of the South” Mehaydli, Iraq’s Sayyeda Amina Haydar “Bint al-Huda” al-Sadr and Palestine’s Leila Khaled come to mind right off the cuff–there has never really been a woman who combines the mentality of an Anti-Imperialist activist with the finesse of a stateswoman; the patience and diplomatic tact of a leader with the fire of a revolutionary. In other words, the Arab-Islamic world has really had its own first lady. Until now that is. Because Asma al-Assad, with her beautiful aura and even more beautiful intelligence, as well as the evident, sincere love of her nation and her people, exalted herself as such a figure today. The first lady of Syria speaks without scripting, something that this planet needs to have a lot more in the daily news diet for healthy understanding in current events. The Syrian First Lady speaking candidly, without a script - something nearly no western leader's better half would do, or could do. Mrs. Assad is the first lady of the most attacked country. Mrs. Assad is the first lady of the most attacked country on the planet, maybe the most attacked in human history by measurement of US+NATO+gulf states+ Israel funded bombings initiated against the entire country, including both military and civilian structures. Adding to these forces, official figures have identified 90+ different countries represented among foreign mercenary groups ISIS, Al Nusra, etc... in the country, also paid by said funding states as a cheap proxy army sowing terror to benefit said funding states. Against those overwhelming odds are the Syrian army and Syrian civilians, some neighboring states with questionable motives and more recently the Russian military has been invited by the Syrian government to help defend against the largest funded army against one nation in the history of planet earth. Russia of course gets blamed for all the crimes committed by uninvited warmongering states that initiated this reign of terror that began with 9/11, the "new Pearl Harbour event" used to justify 10 million dead civilians in 14 countries so far. Currently the western warmongers are focused on Syria as their springboard into new profit wars expanding beyond the Middle East into Russia and Iran. Russia understands who is next in line. And so the battle between western globalists who have usurped western power structures and the rest of the planet's world-be multi-polar interests. The interests of both sides is currently focused on events in Syria, which makes it possibly the most attacked country on planet earth in human history by a number of key metrics, some of them mentioned above. In the face of these legendary threats, we have the beautiful and eloquent Asma Assad, educated in the west, obviously not representing what the west accuses, speaking bravely and with honour. The western media-driven agendas bent to justify endless pre-emptive wars against non threatening countries would fail if they gave air time to the real victims of these wars. If the public would only demand to seek understanding from victim testimonies in equal portion to the words spoken on edited teleprompters by paid actors we call "news anchors". By the way "anchor" is a psychological term. Anchoring bias in decision making is a well understood science for advertisers, also used by politicians and the war lobby. What an upside down planet we have here, run by cowardly psychopaths who are worshiped even while they ruin beautiful landscapes, structures, economies and innocent people for a few pieces of silver. 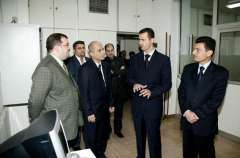 DAMASCUS, (ST)- "From the very beginning, orphaned children have been a top priority in Syria," First Lady Mrs. Asmaa Al-Assad stressed on Saturday during her surprise visit to orphaned children attending an entertainment event held at the Tishreen Sport City in Damascus, according to the facebook page of the Presidency of the Syrian Arab Republic. "War never affected our caring for them or our following up of their affairs on every occasion. If the world celebrates orphans in a week, here, in Syria, Orphans are the focus of attention on all days," Mrs. Asmaa said, pointing out that orphaned children don't need a festivity, but care and active following up of their life details and successes. Marking World Orphan Week and under the patronage of First Lady Asmaa Al-Assad, the "Lamset Shifa" (Touch of Healing) Association and the"Big Idea" for Events and Advertising company on Sunday organized an entertainment event for orphaned children at the Tishreen Sport City in Damascus. The event, which aimed at making children feel happy and at developing their talents, included several entertainment activities among which were a mini circus, acrobatic games, magic tricks and artistic shows. "We, the Syrians, have illumination, civilization, culture and history as our identity for more than 7 thousand years," said Mrs. Asma Al-Assad, the First Lady of Syria. Honoring the top and distinguished students of the Syrian Science Olympiad at Damascus Opera House today, Mrs. Al-Assad added " I am proud of being Syrian as well as of Syria which gives birth for such generations." "We all pray for the martyrs of this barbaric massacre and to all of the martyrs, civilians and soldiers, of Syria to rest in peace. It is our fate that barbarians come through our land with different forms and names. The nations of the deep-rooted civilization are, however, to stand up again and become stronger and better than before, and so are the Syrians, who have become stronger by the war imposed on them, which indeed has increased our immunity and firmness," added H.E. Mrs. Asma Al-Assad. The finals of the Syrian Science Olympiad were launched with the participation of 388 students from different provinces, where the top ten winners in Mathematics, Physics, Chemistry, Biology and Informatics were chosen. The top 10 students in each of the said specializations were accordingly honored and given special certificates and awards by H.E. Mrs. Al-Assad and by Mrs. Hilal Al-Hilal, the Baath Arab Socialist Party Assistant Regional Secretary, Mr. Hazwan Al-Waz Minister of Education and by Imad Al-Azab, Head of the National Commission for the Syrian Science Olympiad. In the run-up to the finals, 45000 students competed on schools level before reaching today's honoring ceremony. 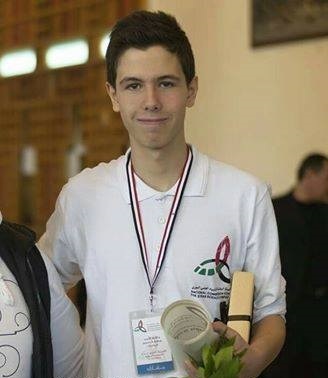 In 2015, the Syrian Science Olympiad student teams won 4 medals and 5 certificates of appreciation in Chemistry, Physics, Mathematics and Informatics at international competitions. 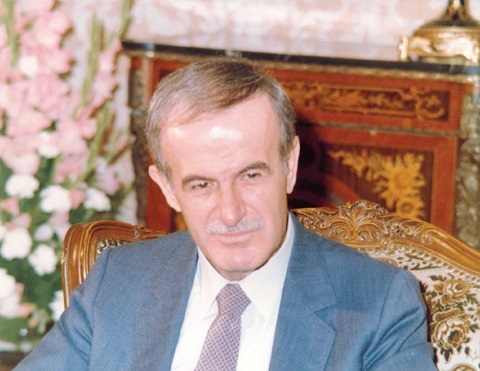 It is worth mentioning that among the distinguished in Mathematics was Mr. Hafez Bashar Al-Assad, the elder son of President Bashar Al-Assad. Hafez got the 7th rank in Mathematics.
" We have started the Syrian Scientific Olympiad since 10 years back with the aim of having distinguished genius students with different and more developed methods of teaching and learning," added H.E. Mrs. Al-Assad. "Thus, we have moved from one subject and 100 participating students in 2006 to 5 subjects and more than 45 thousand students from all Syrian Governorates in 2016, which asserts that the vision for the Olympiad has been expanded and spread," the First Lady underscored. Mrs. Asma hailed the recent decree issued by H.E. President Bashar Al-Assad granting University enrollment for high school winning-members of Syria Science Olympiad as securing a better future for their University and post-University education. According to the Decree Numbered 4 for the year 2016, the high school wining-member students, are those who achieved international prizes accredited by Asian or International Olympiad, or those who came in the first places of the Syria Science Olympiad in any of its scientific specialization accredited by the Syrian universities. The winning-member students of Syria Science Olympiad are granted admission at Syrian Universities regardless of the universities enrollment conditions, offered chance for Scientific missions abroad to get BA, MA and PhD and to be appointed at one of research commission or university. Asma al-Assad. First Lady of Syria. Real lady !!! "We were friends families and our children's communication with Bashar grew into love ..."
Yesterday, during the day, even in my hotel were heard distant exploding shells, and I asked Asma, she is not afraid at this time to remain in Syria with the children. "... in the most difficult times for the country it is our duty to stay here. If my children do not live here, they will not consider Syria as their homeland. I want my children to grow up ... soldiers." Asma - an amazing woman and Loyal wife of President Bashar al-Assad. Happiness to you and your family, courageous woman and First Lady ! !